Here at The A.V. Club, we pride ourselves on being “in the know.” If we’re hip to the up-and-comers of Hollywood (and wherever they make music and TV), then we can let our readers in on some of that knowledge and create a long-lasting bond that—in some cases—runs even deeper than that between family members. That’s why we all spend so much time together. Today we have another insider tip that only industry hotshots like us know about, and we’re going to give it to you for free: There are these two young actors you’ve probably never heard of, but their careers are about to blow up. Seriously, they’re going to be huge. One is Chris Pratt (he played the dopey guy on Parks And Recreation and the Velociraptor trainer from Jurassic World), and the other is Jennifer Lawrence (she’s starring in the incredibly popular Hunger Games movies and is also an Academy Award winner). Write their names down, because you’ll want to remember them when Lawrence and Pratt are two of the most bankable stars in Hollywood. As we’ve previously reported, Lawrence and Pratt are set to star in a sci-fi love story called Passengers, but Sony has apparently had some cold feet about the supposedly “big budget” project. Evidently, though, Sony’s just as keyed into industry trends as we are, and The Hollywood Reporter is now saying that Passengers is officially moving forward. 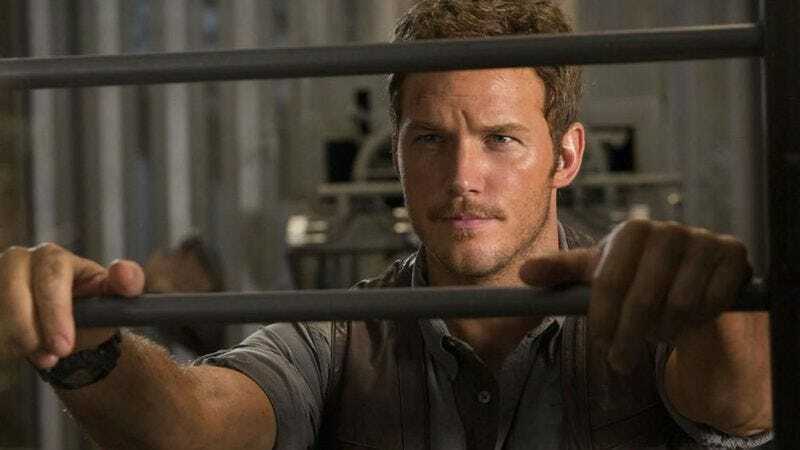 A THR source says Passengers is like “Gravity with romance,” but that’s all we really know about the project so far other than how much money Pratt and Lawrence are making—$12 million and $20 million plus 30 percent of the profits, respectively. We don’t know how big of a hit Passengers will be, but keep on eye on these two kids. They’re going places.